"The nasal dome is a completely new structure for mammals— it doesn't look like anything you could see in an animal that's alive today," says Haley O'Brien of Ohio University, Athens. "The closest example would be hadrosaur dinosaurs with half-circle shaped crests that enclose the nasal passages themselves." 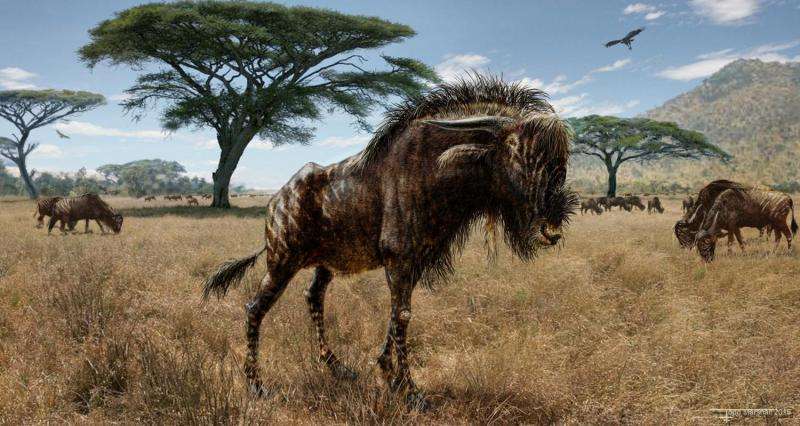 "I was astonished to see that [the skulls] looked unlike any antelope that I had ever seen—the only thing more surprising would have been fossil zebras with horns growing from their heads!" Faith says. "The anatomy was clearly remarkable."